So then, originally it was red and back in January. I believe Akio Toyoda claimed “Red, which emphasizes highlights, was the only color ever considered.” But today we get a look at what the FT-1 Concept looks like in a more sinister, superhero inspired costume. The latest concept comes with a graphite paint scheme, meaning this time round it kind of looks like the love child of a Ferrari Enzo, a Lotus Elise and Batman. It will appear at the 2014 Pebble Beach car show. Will the Toyota FT-1 reach production? 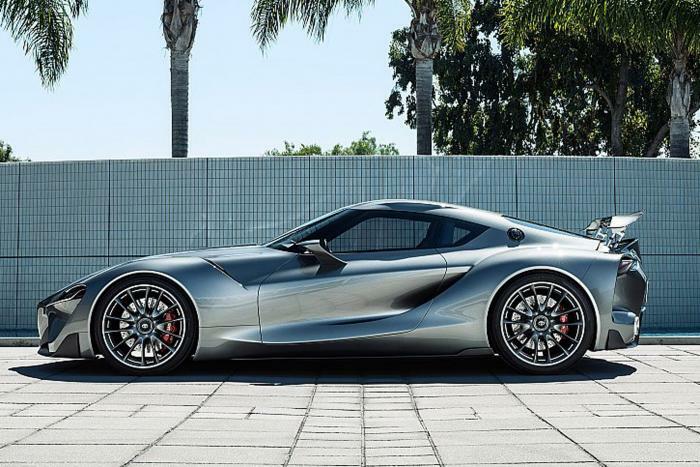 Toyota haven’t disclosed whether or not the Toyota FT-1 will ever reach production. 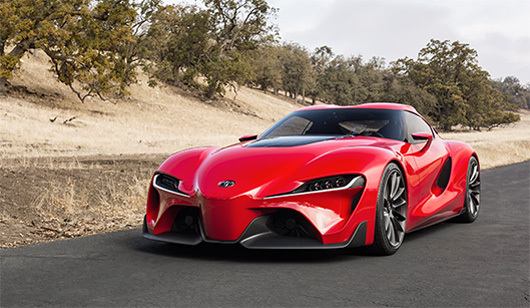 However the fact that Toyota seem keen to associate the FT-1 with some of the brands prior sports cars such as the Toyota Supra suggests that it is a very serious possibility. Another thing to get you excited (if you’re a gamer) is that Toyota have done a deal with Gran Turismo! Apparently two more versions of the FT-1 will be available to download (a red version has already been made available).